Masterflex would like to wish everyone a Happy Diwali. 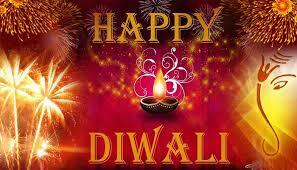 The term Diwali means Festival of Lights and is an ancient Hindu festival celebrated in Autumn. The five-day festival of Diwali is one of the most significant festivals in the Indian culture. Diwali is one of the largest and brightest festivals in India. The festival spiritually signifies the victory of good over evil. The preparations and rituals typically extend over a five-day period, but the main festival night of Diwali coincides with the darkest, new moon night of the Hindu Lunisolar month Kartika. In the Gregorian calendar, Diwali falls between mid-October and mid-November. Did you know before Diwali night, people clean, renovate, and decorate their homes and offices. On Diwali night, Hindus dress up in new clothes or their best outfit, light up lamps and candles, inside and outside their home, participate in family prayers.During Diwali, families and friends share sweets, dried fruit and gifts, and many give food and goods to those who are less fortunate and in need. For many Indians, Diwali honours Lakshmi, the goddess of wealth and prosperity, and people will start the new business year at Diwali and some will say prayers to the goddess for a prosperous year ahead. After the prayers, fireworks follow, then a family feast including mithai (sweets), and an exchange of gifts between family members and close friends. Deepavali also marks a major shopping period in nations where it is celebrated. Diwali is an important festival for Hindus. The name of festive days as well as the rituals of Diwali vary significantly among Hindus, based on the region of India. In many parts of India, the festivities start with Dhanteras in Northern & Western part of India, followed by Naraka Chaturdasi on second day, Deepavali on the third day, Diwali Padva dedicated to wife–husband relationship on the fourth day, and festivities end with Bhau-beej dedicated to sister–brother bond on the fifth day. Dhanteras usually falls eighteen days after Dussehra. This entry was posted in Antistatic & Electroconductive hose, Automotive - Motor sports / F1 / Boats / Rail, Chemical - food & pharmaceutical, Environmental, Microbe & Hydrolysis-Resistant Hoses, Paper, Printing and Packaging, Plastics, Street cleaning leaf and grass collection, Woodworking Industry and tagged abrasion resistant hose, air and ventilation hose, Chemical Ducting Fume Extraction, DUCTING, Ducting Connecting Systems, Ducting Exhaust Extraction, Ducting PU Hose, ductings, Dust extraction hose, dust extraction hoses, Dust Extraxction Ductings, Exhaust Extraction Ductings, Exhaust Extraction Hose, exhaust fumes removal, flexi ducting, Flexi Ducting Hose, Flexi ductings, flexi hose, Flexi Hoses, Flexible ducting, flexible ductings, Flexible hose, Flexible Hose Polyurethane Ducting, flexible hoses, FlexiHose, Fume Extraction Ductings, Fume Extraction hose, High temperature ducting, High Temperature Ductings, High temperature hose, High Temperature hoses, hose, hoses, Masterflex technical hose ltd, Masterflex technical hoses ltd, Polyurethane ducting, polyurethane ductings, Polyurethane hose, polyurethane hoses, PTFE Ducting, PTFE Ductings, PTFE Hose, PTFE Hoses, PU DUCTING, PU ductings, PU hose, PU hoses, PUR hose, PVC ducting, PVC ductings, PVC Flexible Ducting, PVC Flexible Ductings, PVC hose, PVC hoses, Silicone Ducting, silicone ductings, Silicone Hose, silicone hoses, suction and transport hose, templine Heated Hoses, Weld Fume Extraction, Weld Fume Extraction Hose. Bookmark the permalink.